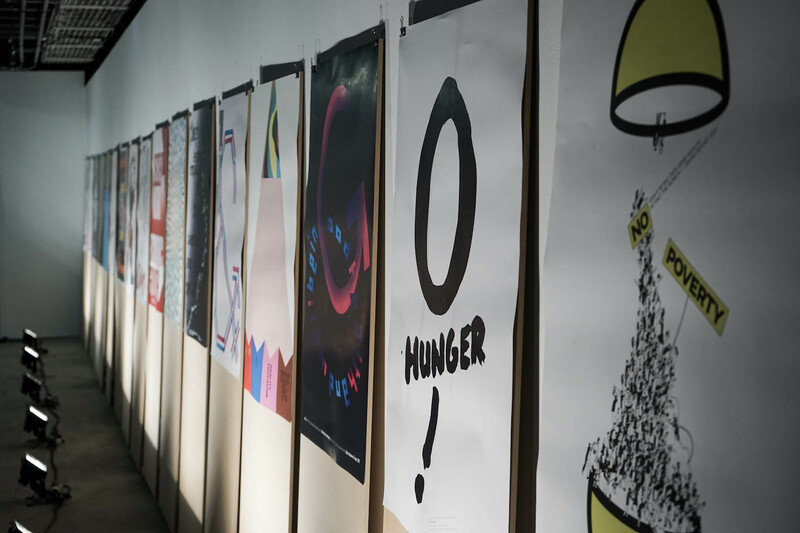 At 17FOR17 WORLDWIDE, Chora Connection and AGI are engaging designers and artists in a communications project meant to spread the knowledge of the 17 SDG’s, worldwide. 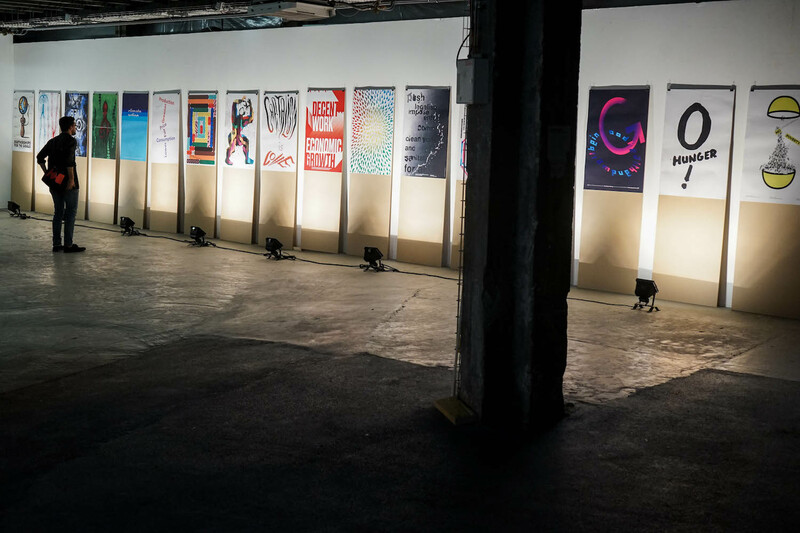 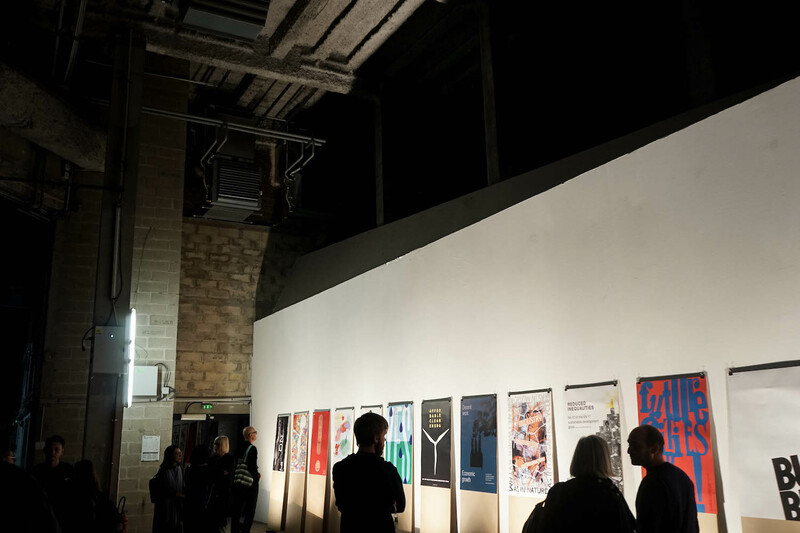 On 9/21/2017 the premiere of the first 17 posters from Denmark, the Netherlands and France, was held at Palais De Tokyo in Paris. 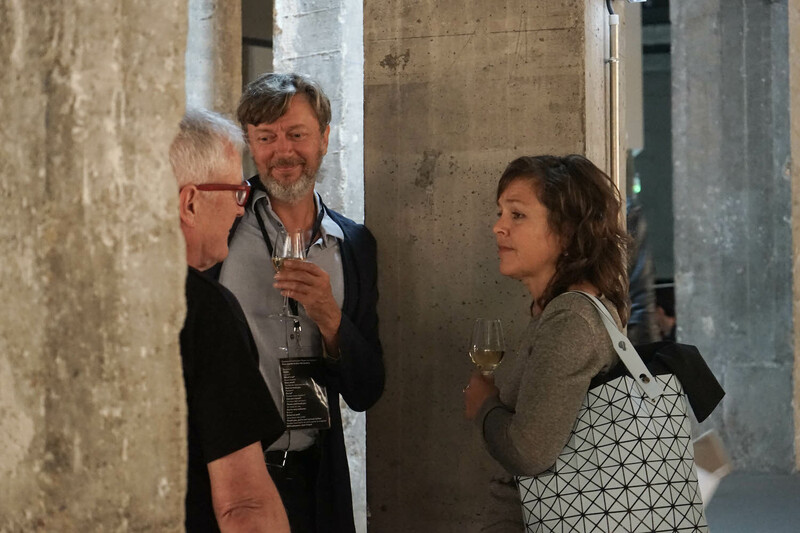 The world’s leading designers were once again gathered at AGI OPEN on the 18-22nd September 2017. 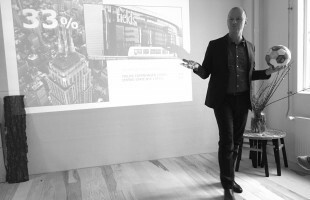 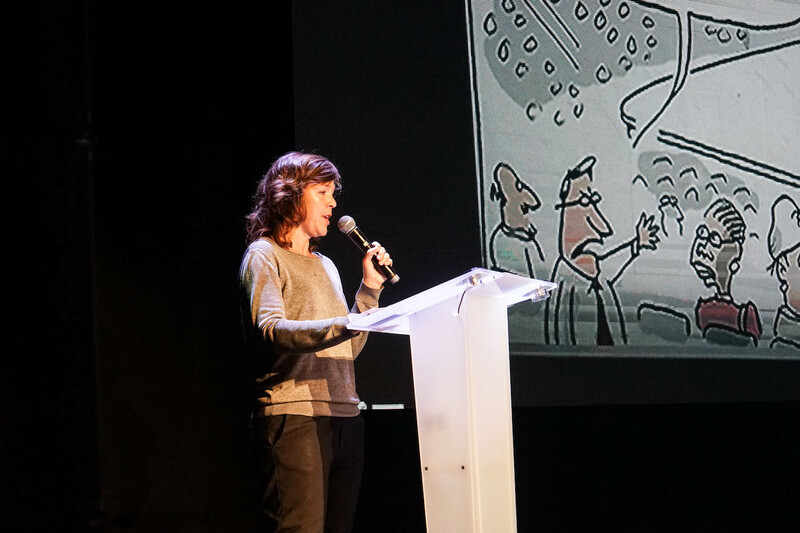 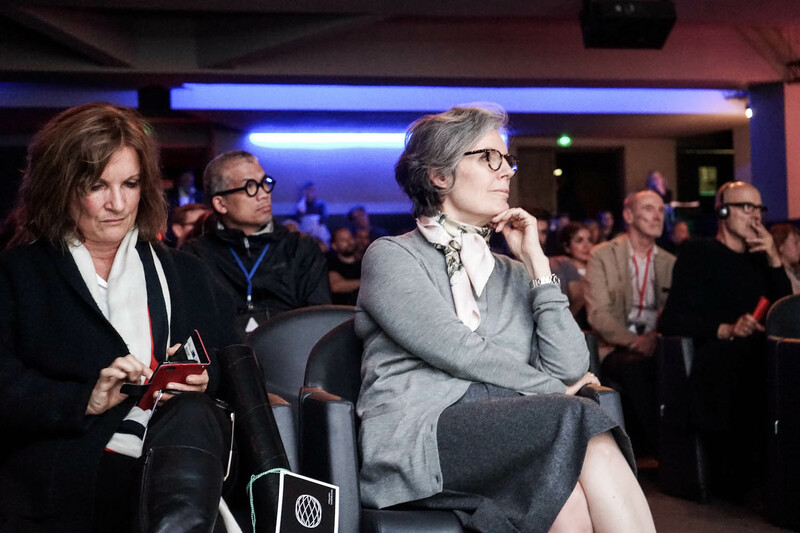 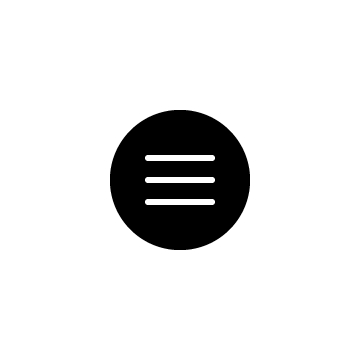 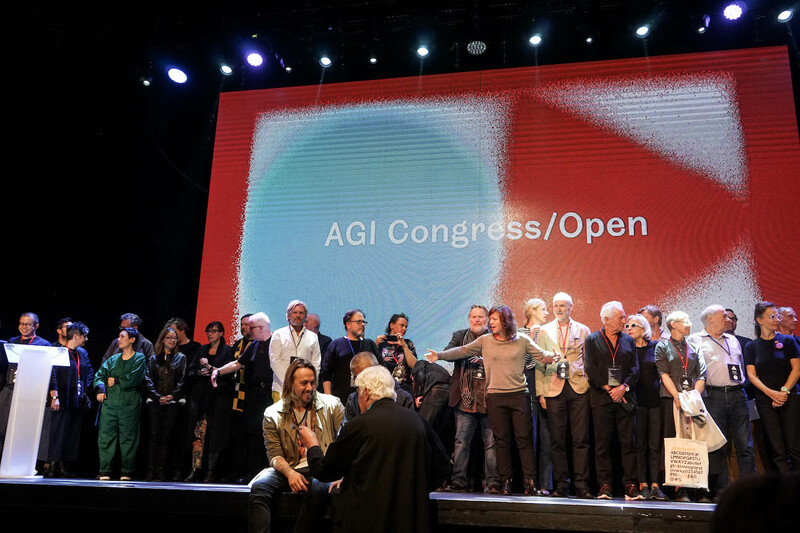 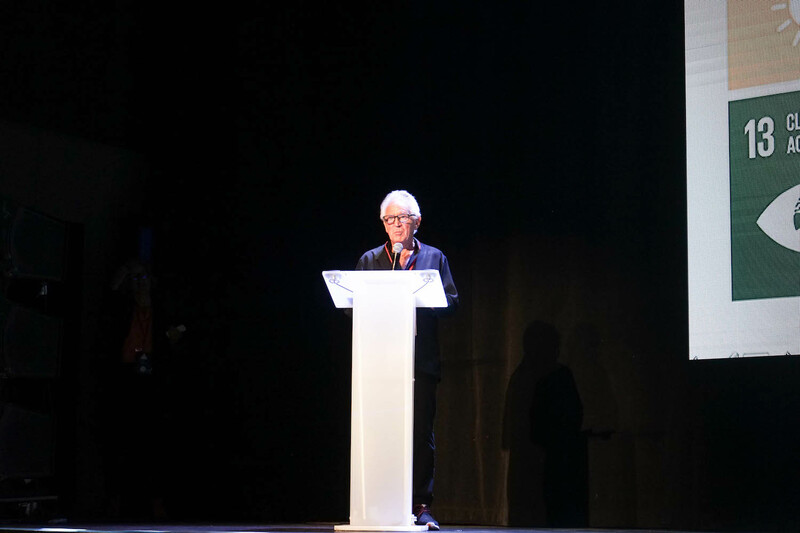  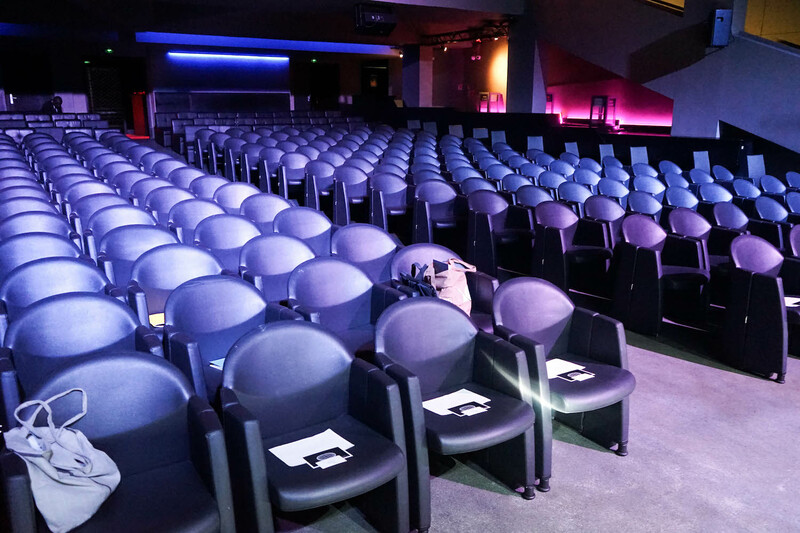 AGI hosts the congress once a year, and this time it was held in Paris. 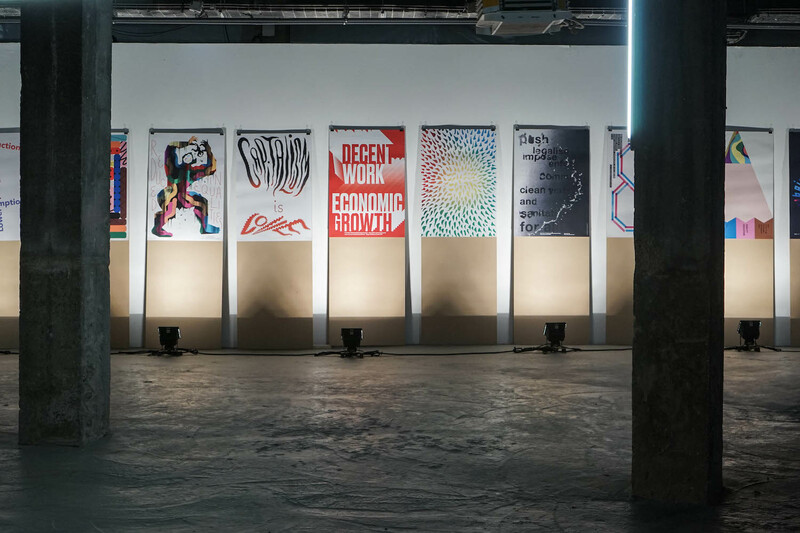 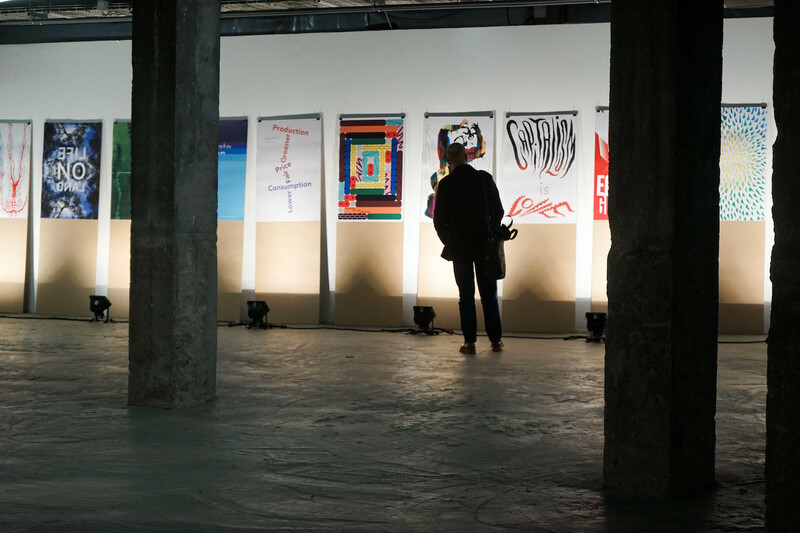 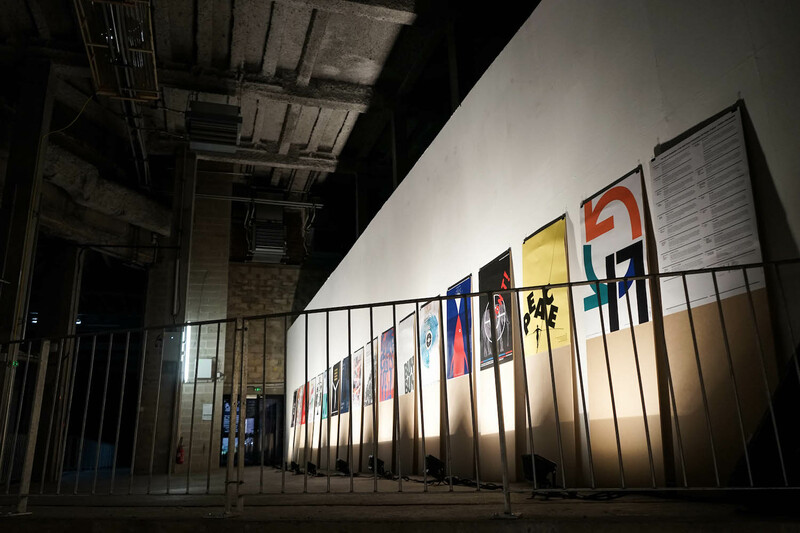 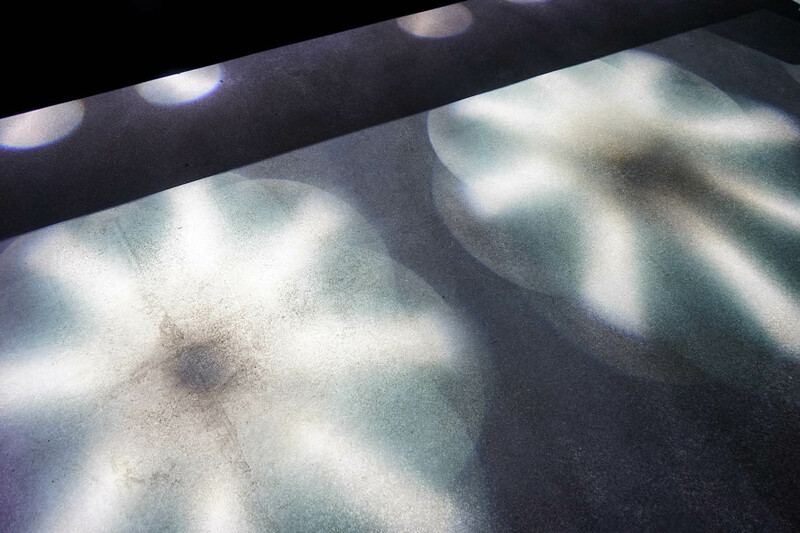 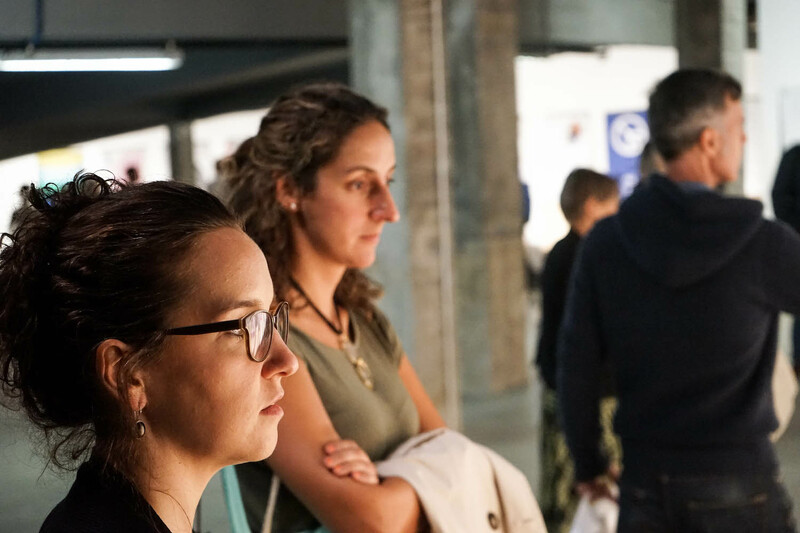 In connection with the fourth day of the congress, Chora Connection and AGI collaborated to exhibit 17FOR17 in the subterranean corridors of Palais de Tokyo. 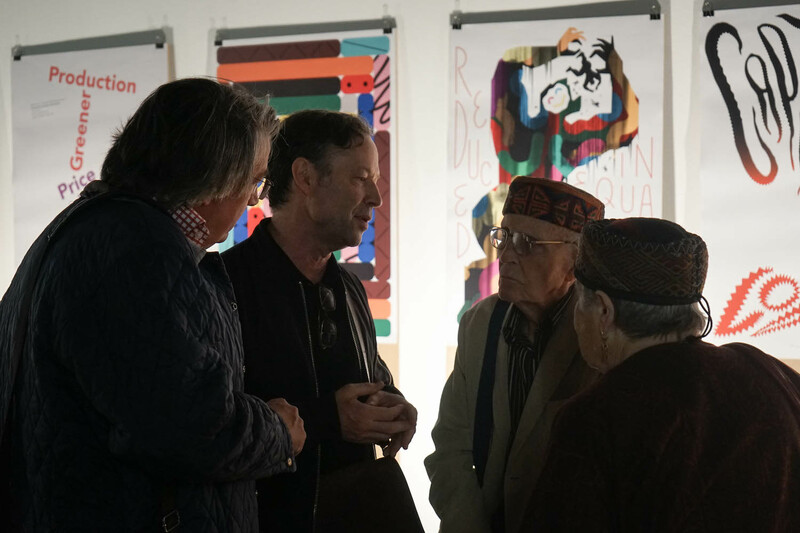 The exhibition was opened by the Danish ambassador to France, Kirsten Malling Biering, who emphasized the importance of designer’s and artists’ contribution to changing the world. 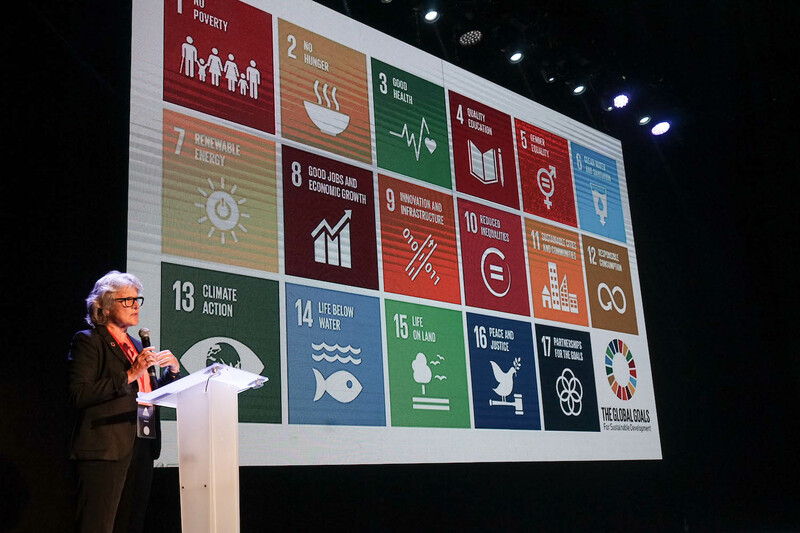 After this, Director of Chora Connection, Karen Blincoe, presented the history and motivation for the project, as well as Chora Connection’s work with the 17 Sustainable Development Goals (SDGs) of the UN. 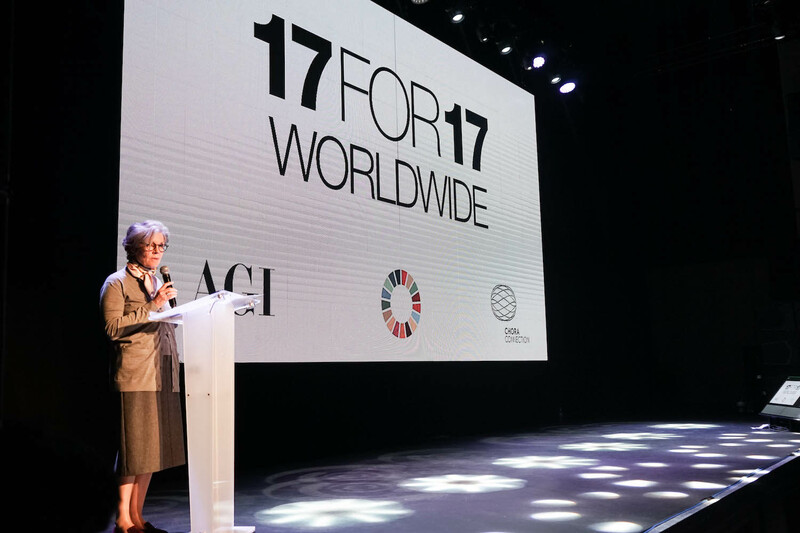 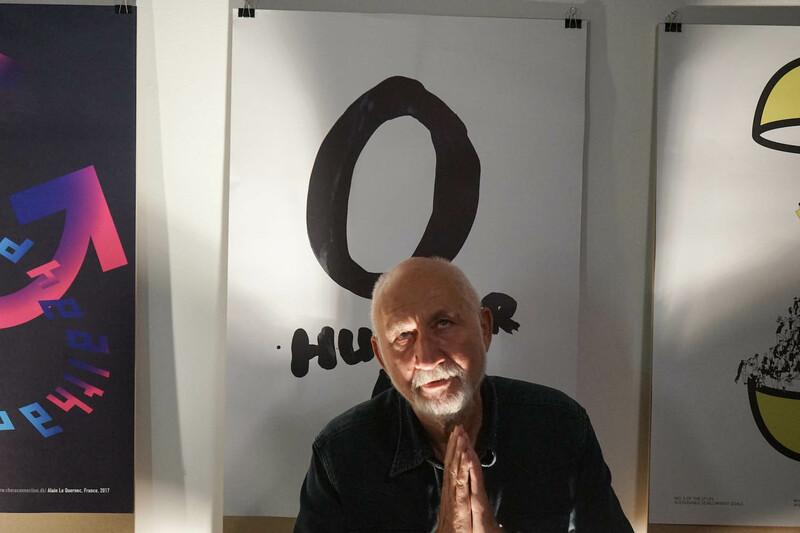 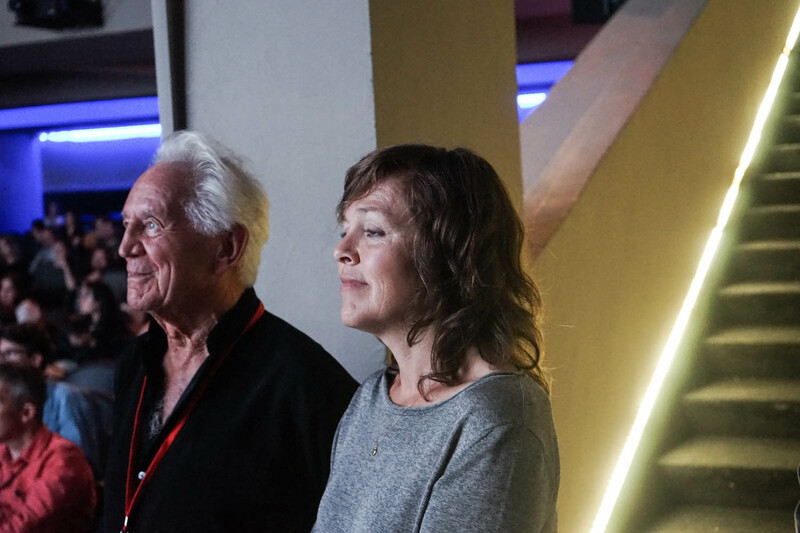 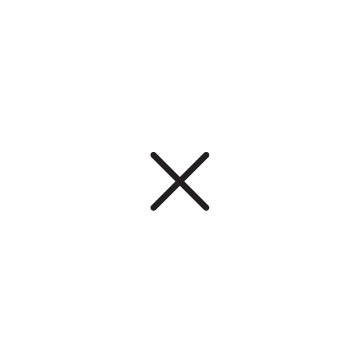 Following Karen, designer, AGI member and project manager for 17FOR17, Mervyn Kurlansky, presented the vision for the future of the project. 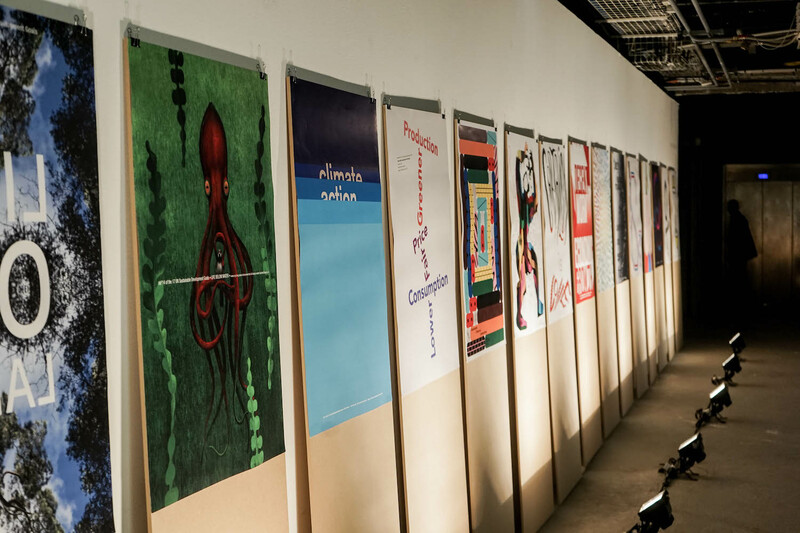 The ambition is to have 25 countries participate with posters of their own, within the next couple of years. 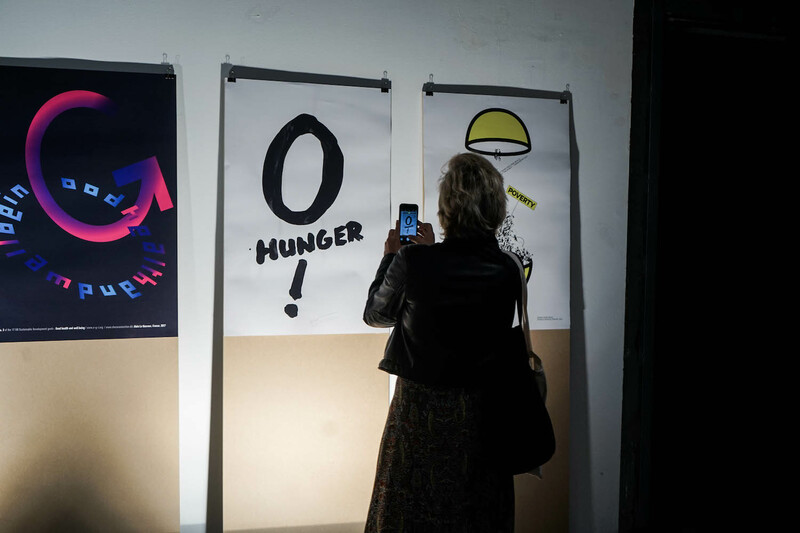 The UN wants to reach 1 billion people with the message behind the SDGs before 2018. 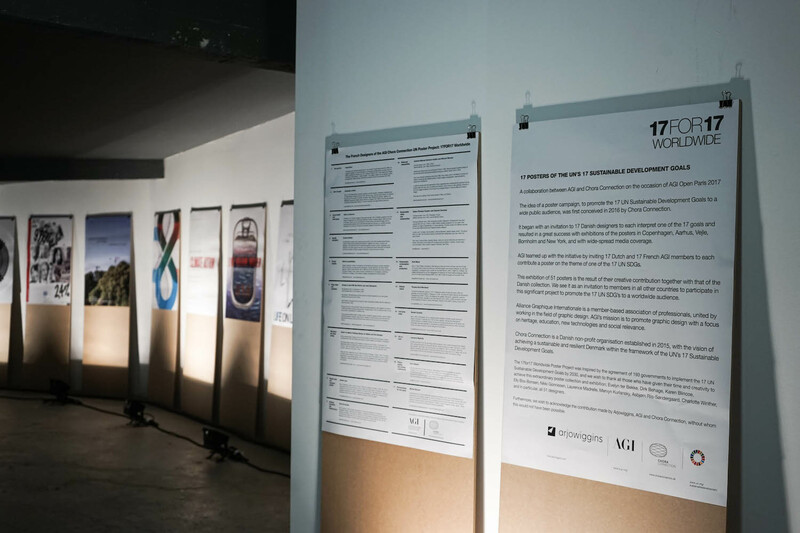 17FOR17 is meant to help facilitate this. 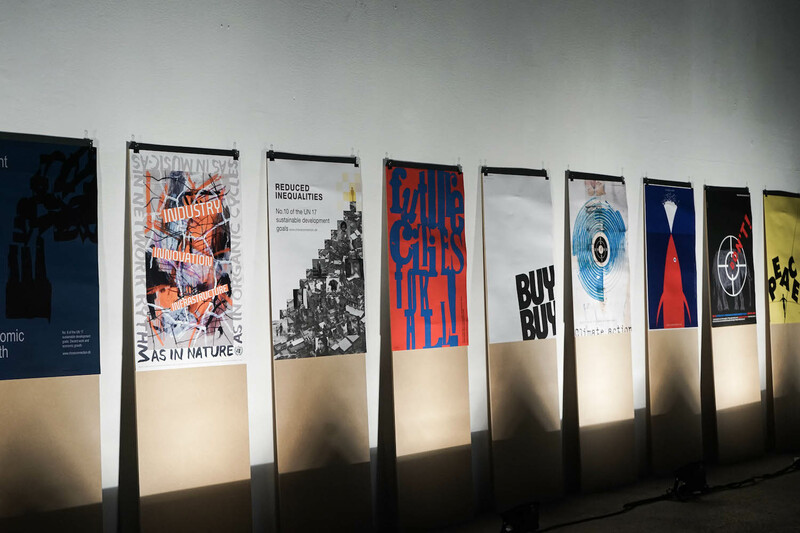 To conclude, AGI President Nikki Gonnisen gave a short presentation on the relevancy of the poster project to AGI, and members from the organisation expressed their wishes to carry the project forward. 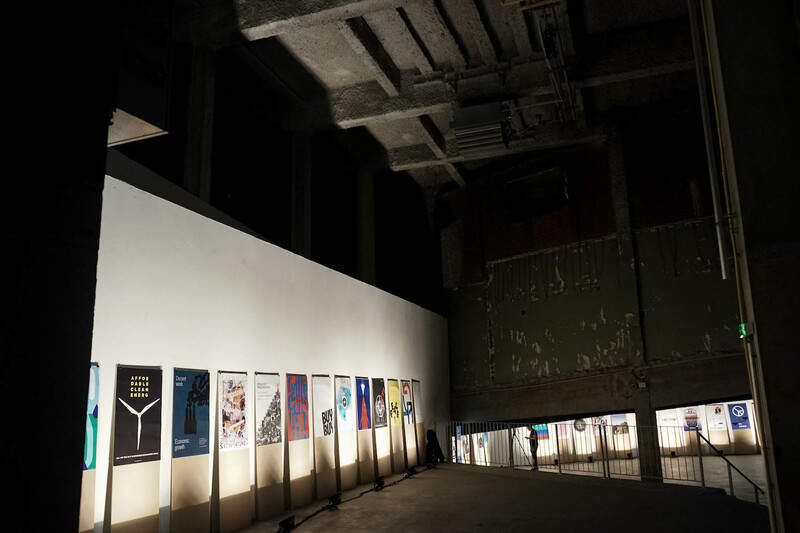 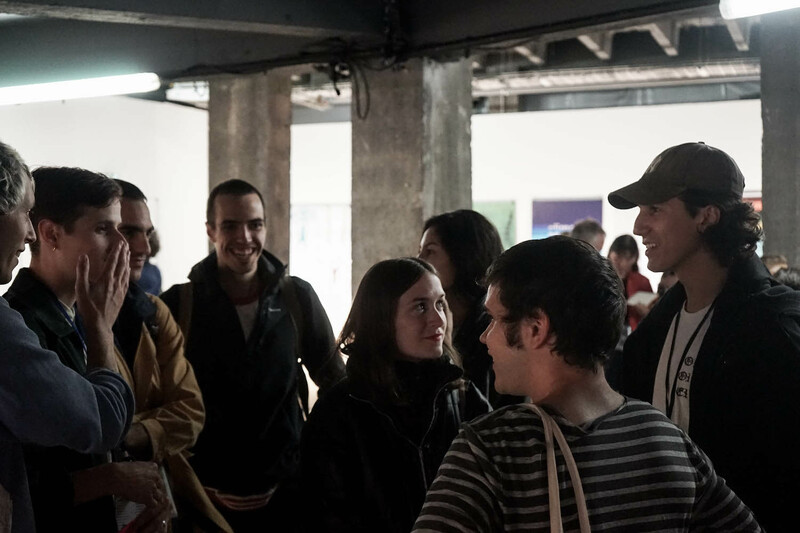 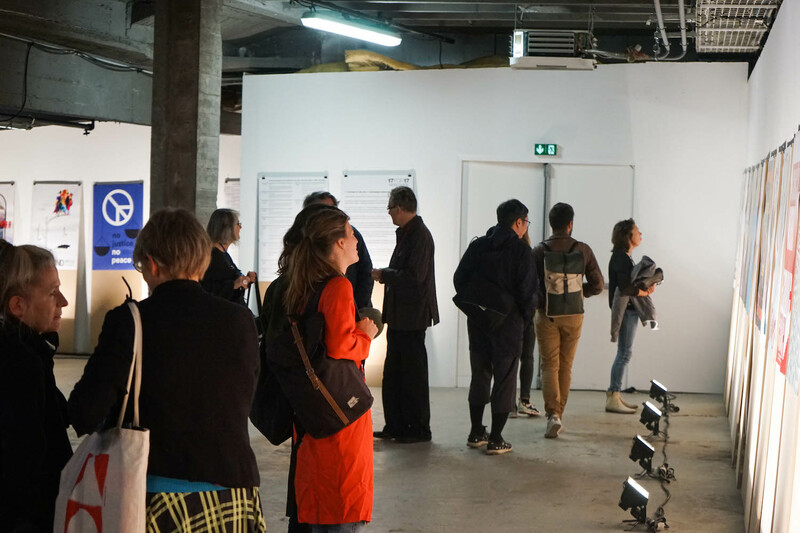 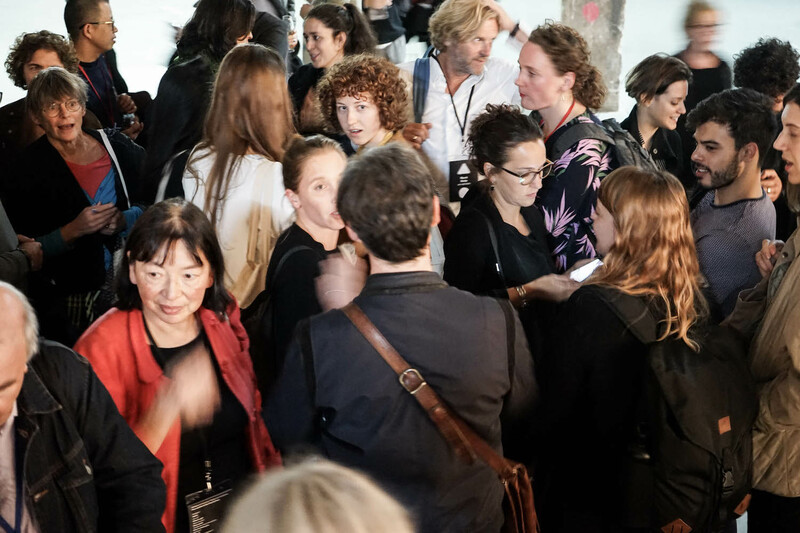 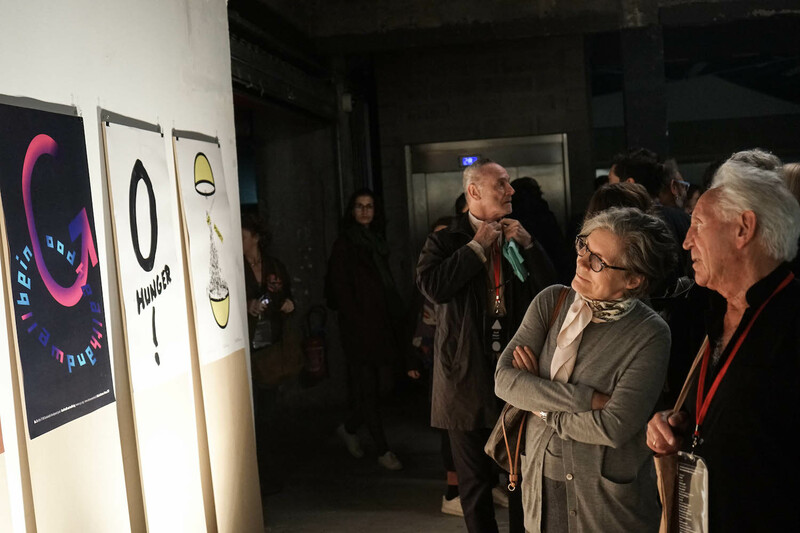 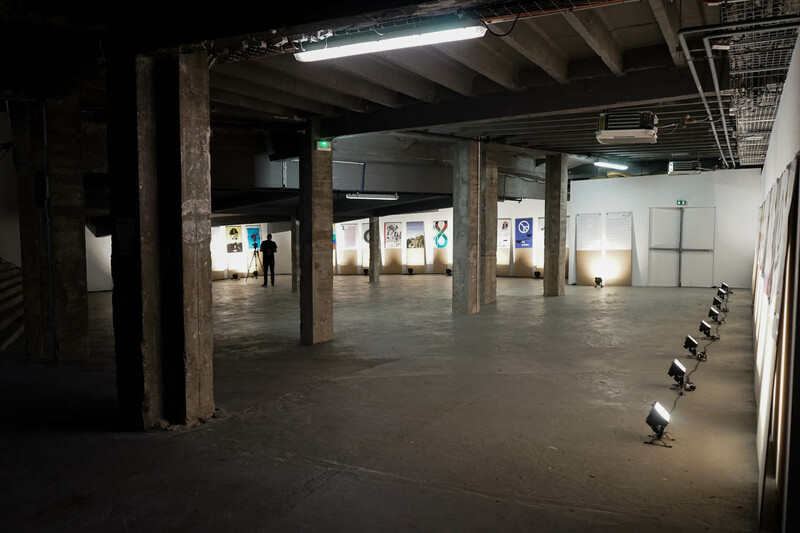 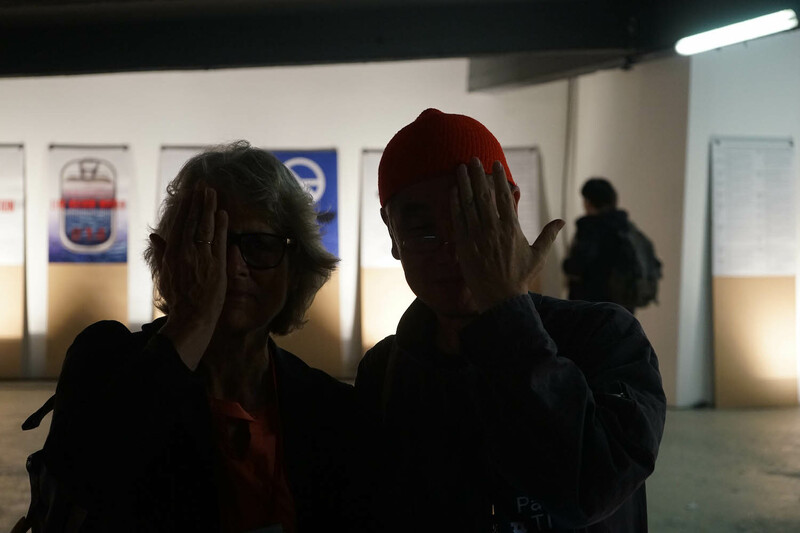 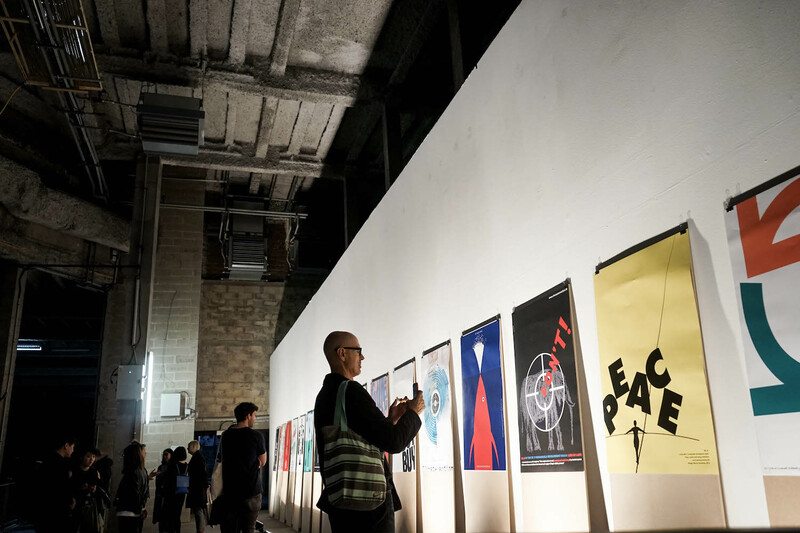 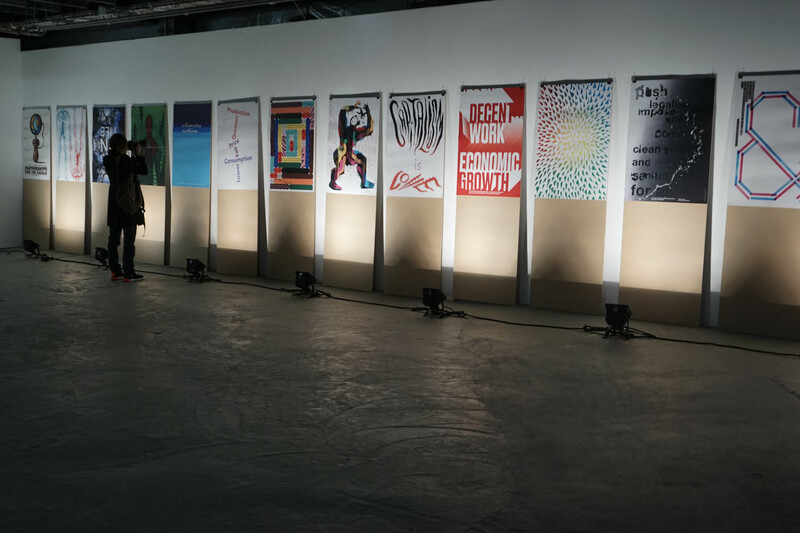 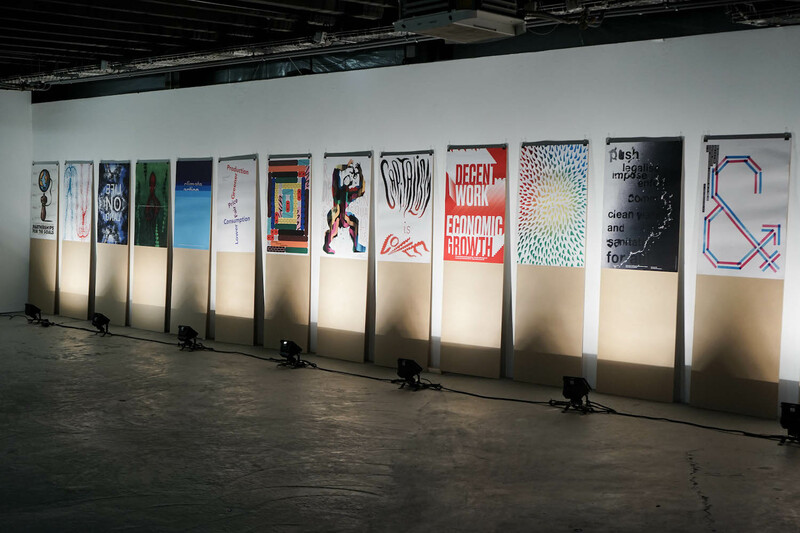 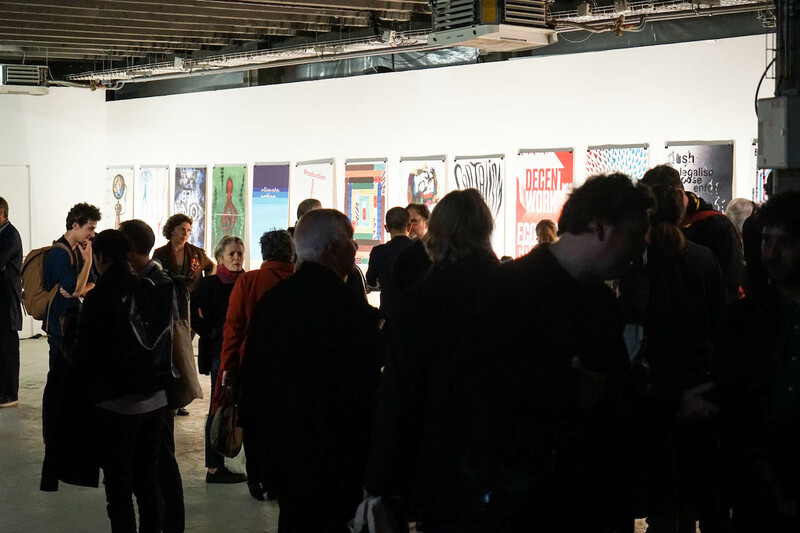 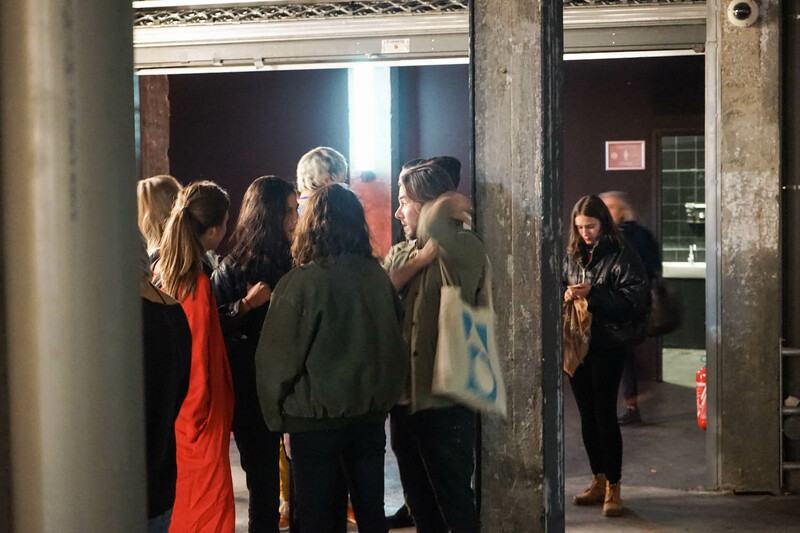 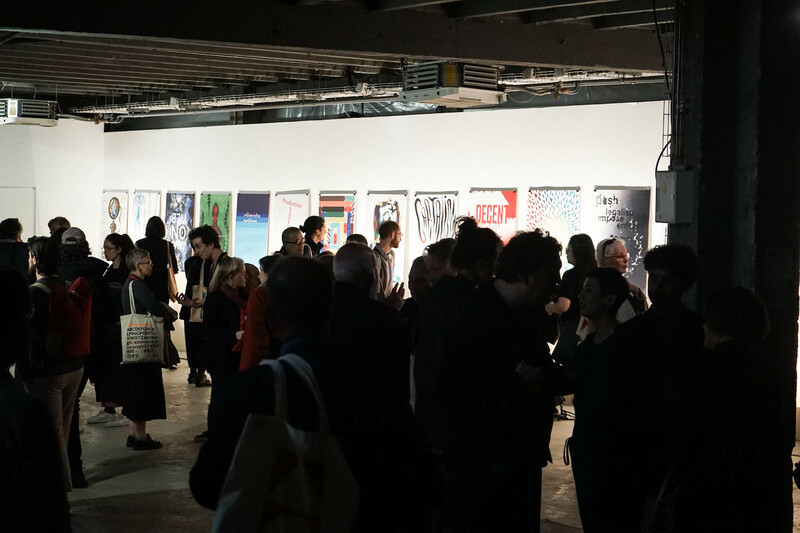 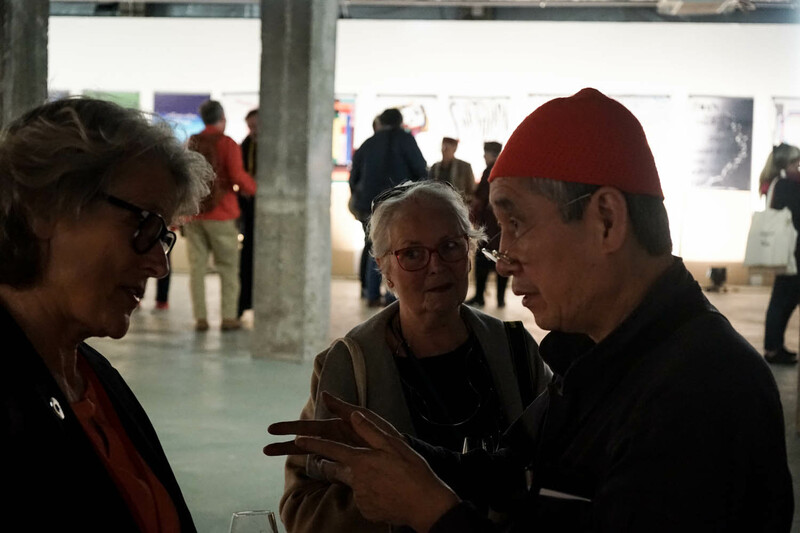 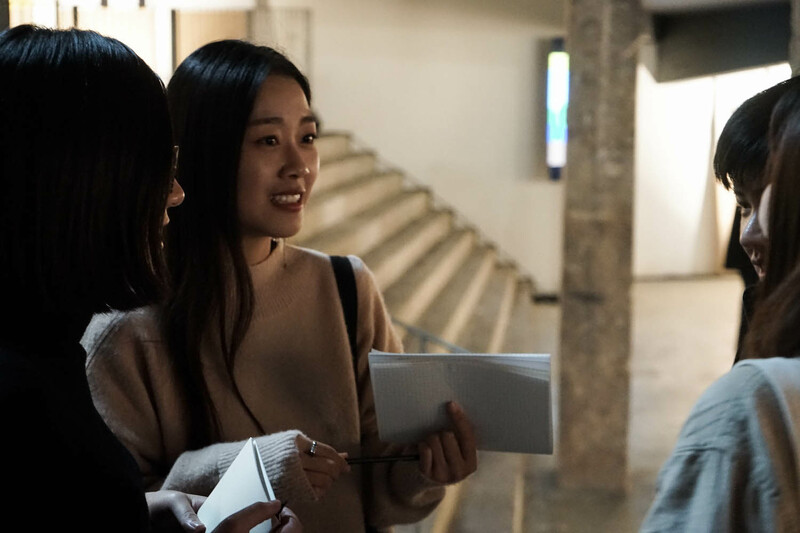 After the talks were over, the participants of the congress were invited to the opening of the exhibition, in the industrial corridors below Palais de Tokyo. 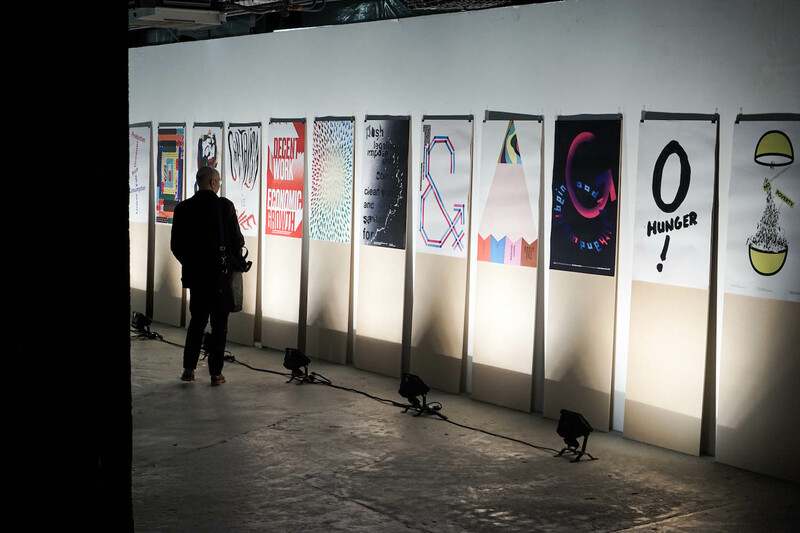 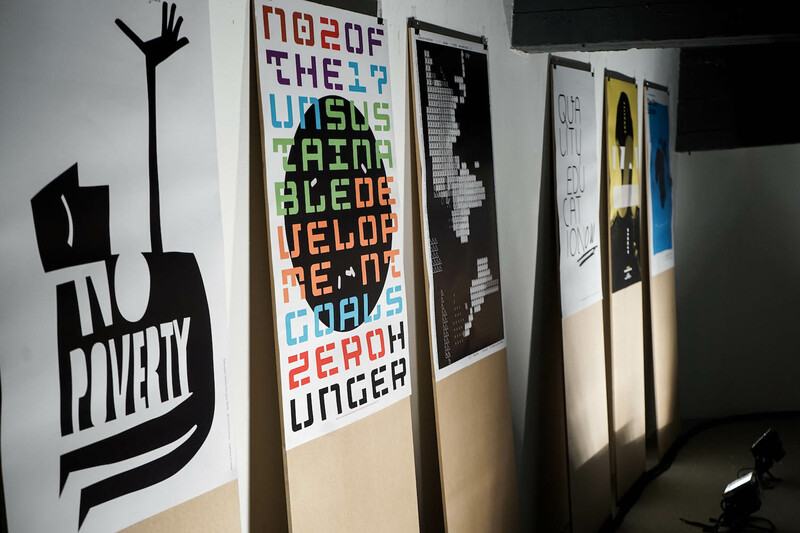 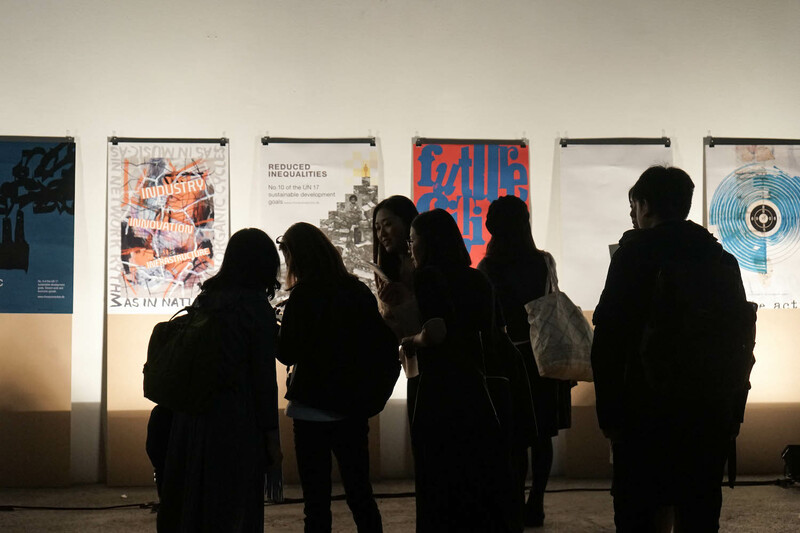 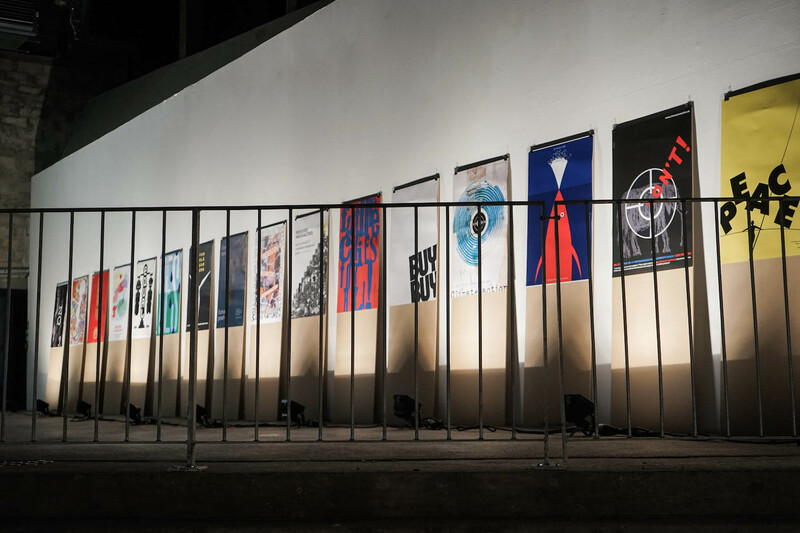 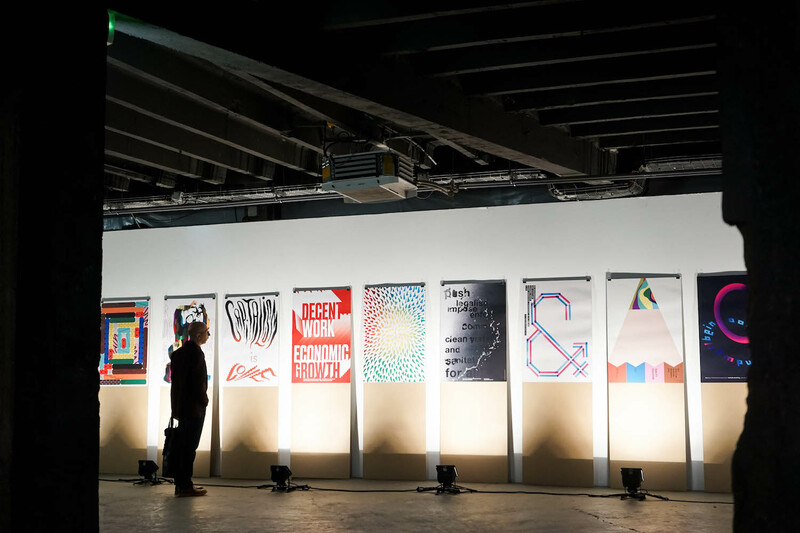 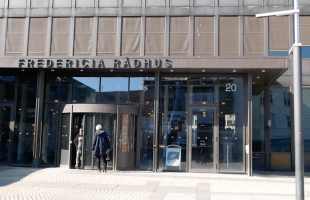 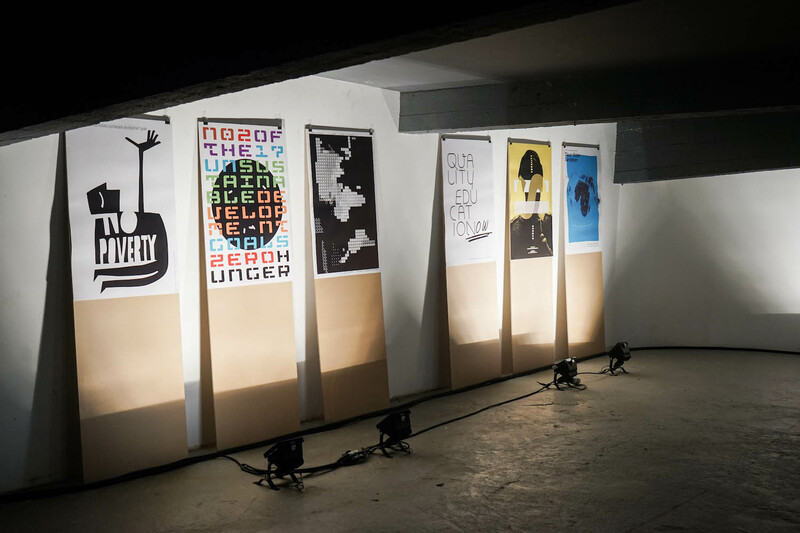 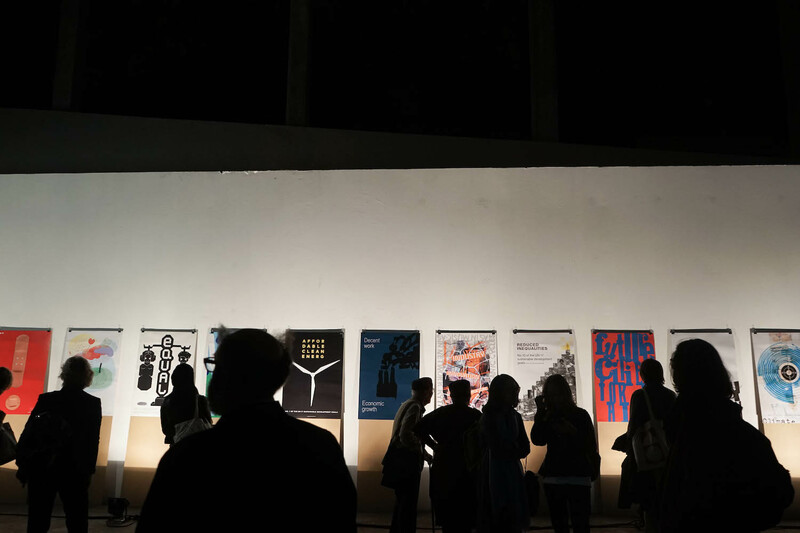 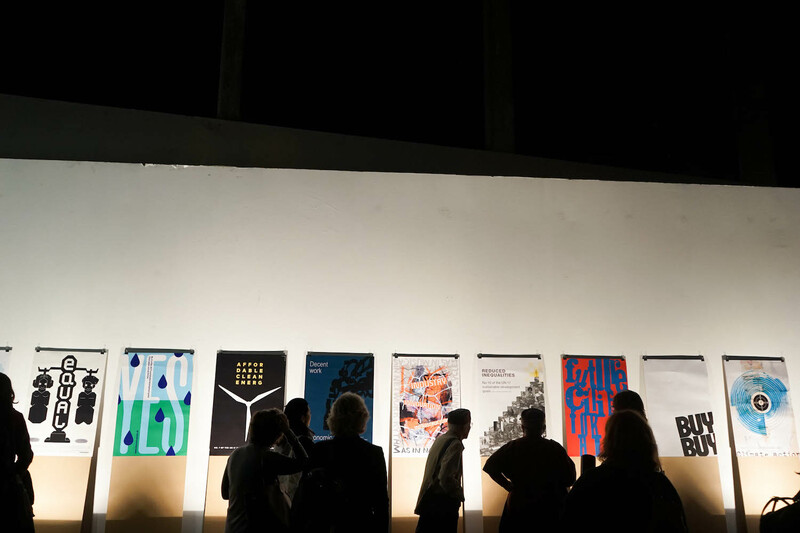 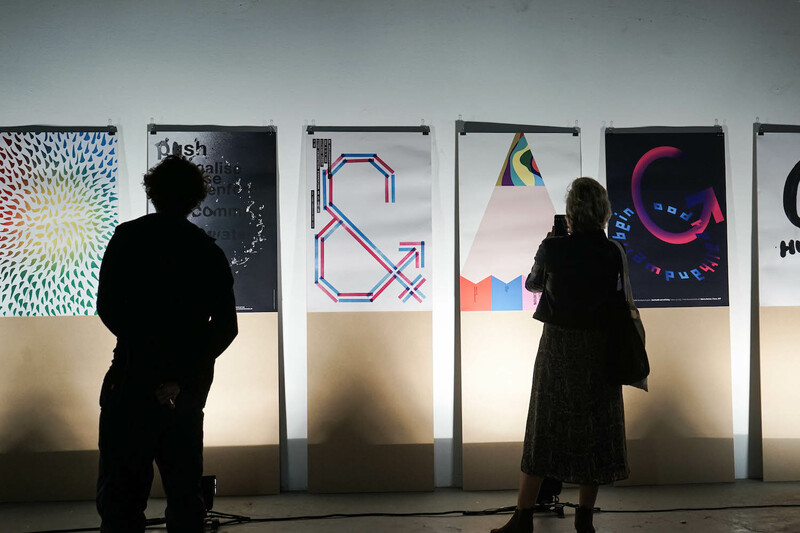 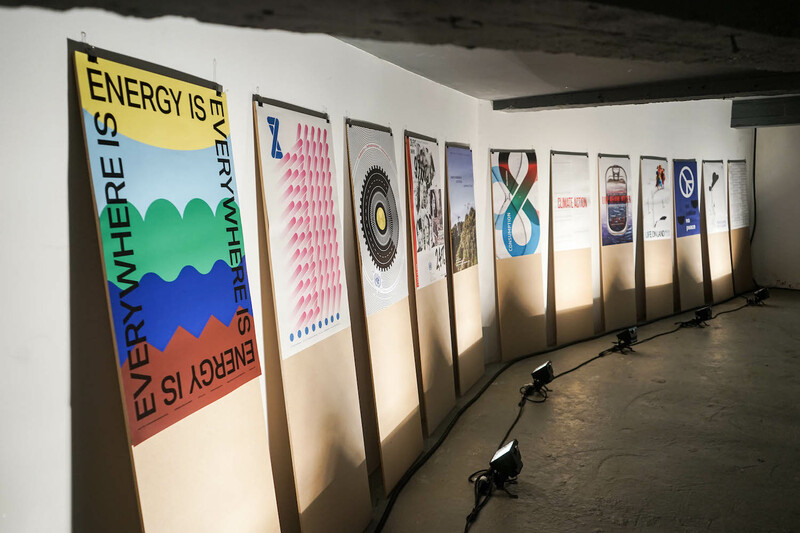 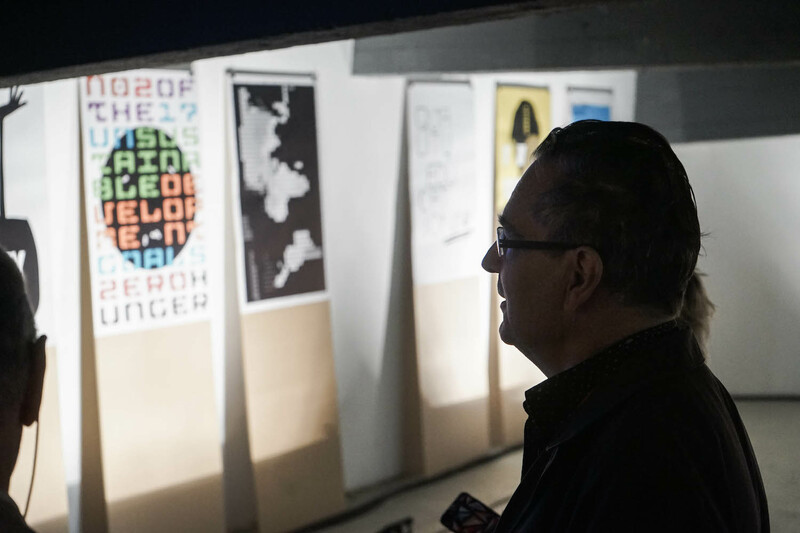 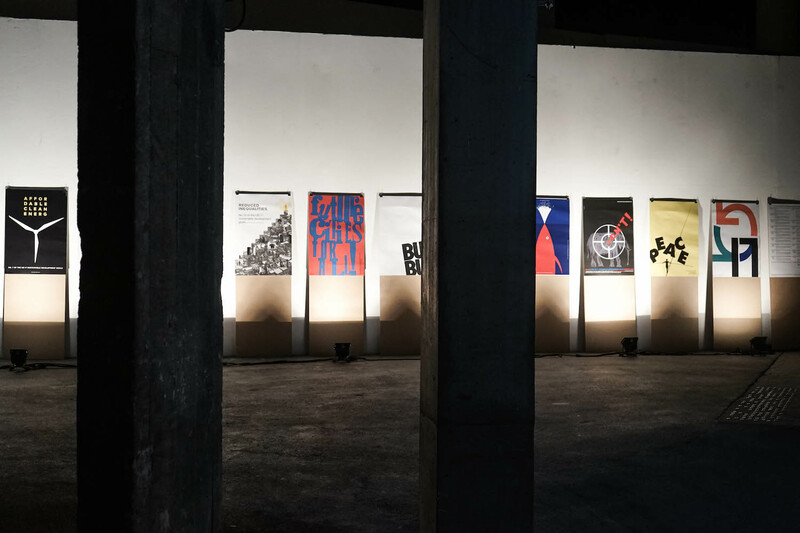 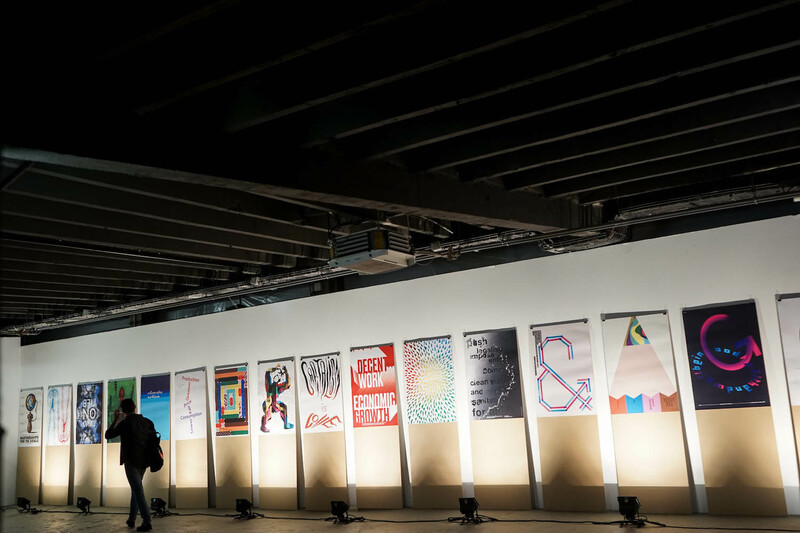 250 participants were given the opportunity to appraise the Dutch, French and Danish contributions to the project, and meet some of the designers behind the posters, over a couple of refreshing drinks. 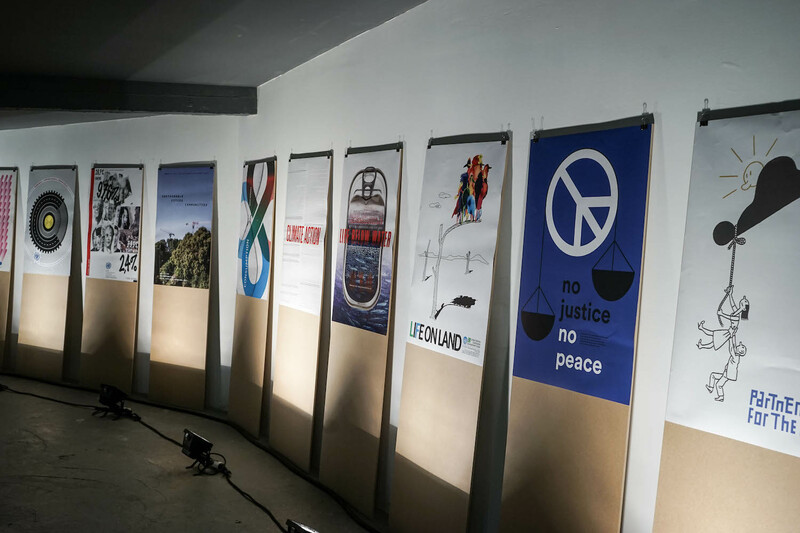 10 countries have already committed to participating in the project. 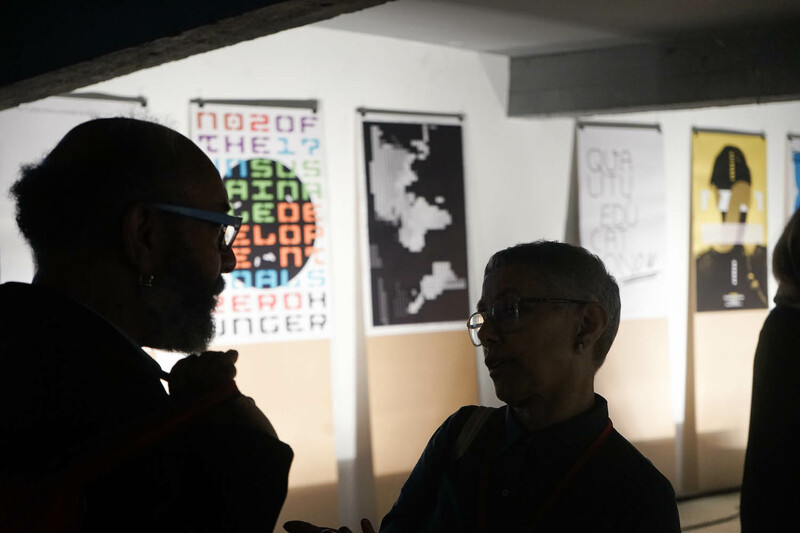 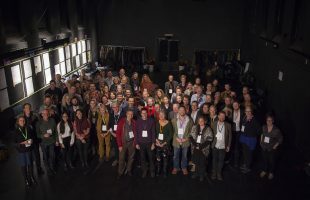 Chora Connection and AGI look forward to taking the project further, and hope to do a world exhibition featuring 25 countries – or more – within a few years.